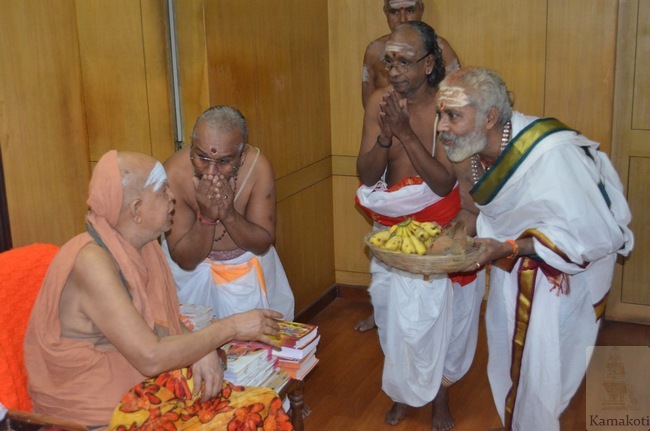 Rig Veda Mala Parayanam commenced in the divine presence of HH Pujya Shri Jayendra Saraswathi ShankaracharyaSwamigal & HH PujyaShri Sankara Vijayendra Saraswathi Shankaracharya Swamigal. Jata, Mala, Shikha, Rekha, Dhvaja, Danda, Ratha & Ghana are the eight Vikruti Pathas in Rigveda. 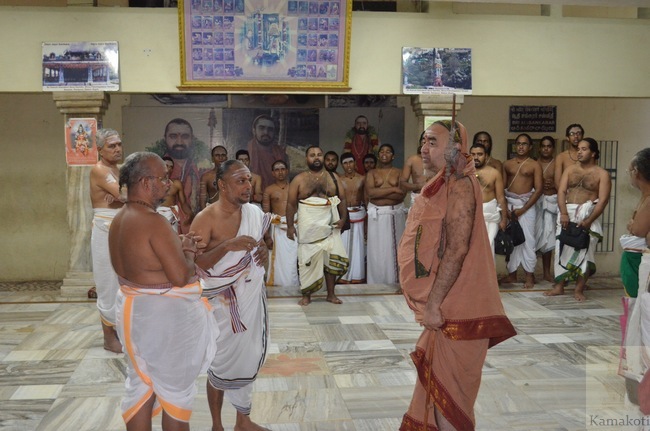 20 Vidwans will perform the Mela Parayana for 20 days commencing today in Srimatam, Adhishthana Mandapam. Timings 8 to 11.30 AM, 3 to 5.30 pm & 6.30 to 8.30 pm. Devotees may take the opportunity to listen to the rare parayanam and receive the blessings of Acharyas.